“It’s one of our smallest rooms” said the hostel lady as she opened the door… Anything was going to be bigger than the cabin in Amsterdam! And it was, a lovely normal sized bed and.. an en suite – luxury! We’d spent Wednesday on a 6hour train, which went surprisingly fast! Our first evening in Berlin was spent planning a busy Thursday and then munching pizza in what was described as a bohemian district! Thursday, our only full day in Berlin. We were early birds and headed into the center for 9am. We had been advised about a free walking tour so we made the most of it. Our tour guide was Australian, which may seem odd, however she was fabulous. Engaging and really passionate about the history of Berlin! It was incredibly interesting, we started at Brandenburg gate and this was shortly followed by a view of the Reichstag – Parliament Building. 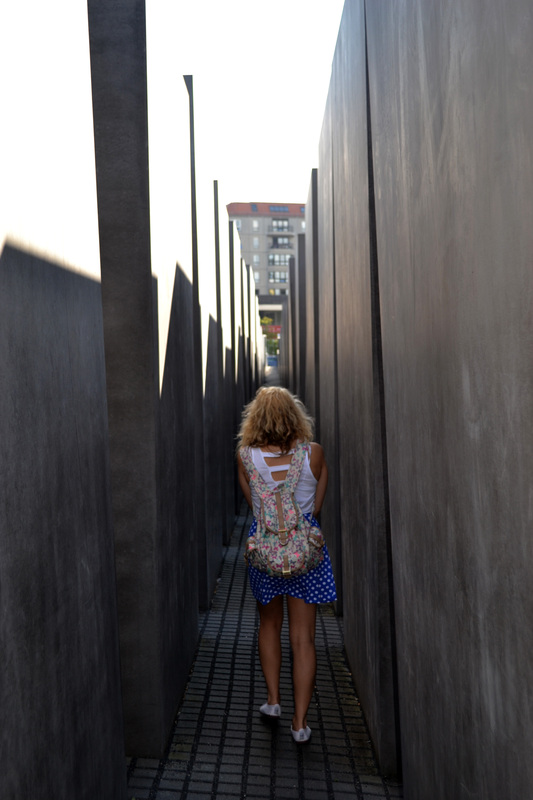 Around the corner is the Memorial to the Murdered Jews of Europe. A though provoking memorial which allows you to make your own conclusions of it’s meaning. 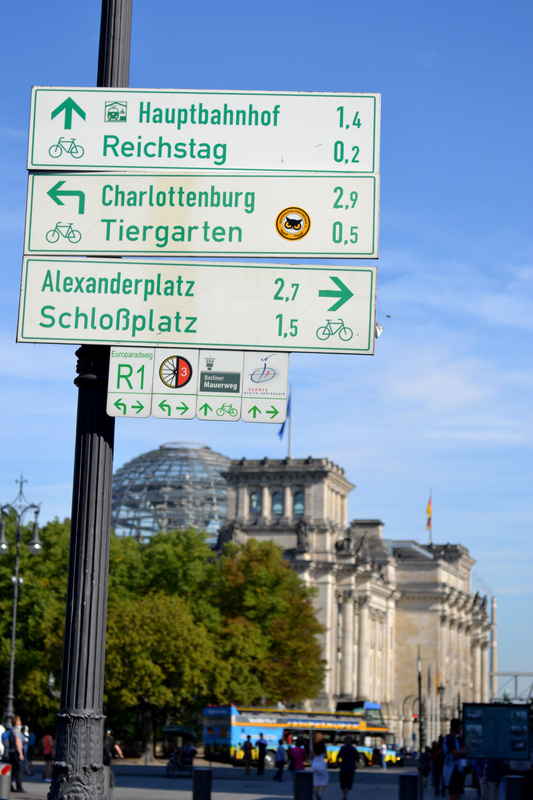 The rest of the tour included the site of hitlers bunker, which is merely a car park now, Babel Platz, Checkpoint Charlie, Soviet War Memorial – Strasse des 17 Juni and finished off on museum island. It was here our tour guide explained how in 1989 West and East Berlin were finally allowed to interact freely, which was all down to a mistake made by a press reporter! Exhausted after paying attention for over 3hours, we headed north of Alexander platz and found relief in some tasty pasta. 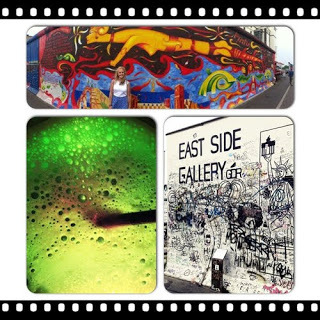 This set us up for the trip down to the Eastside gallery. 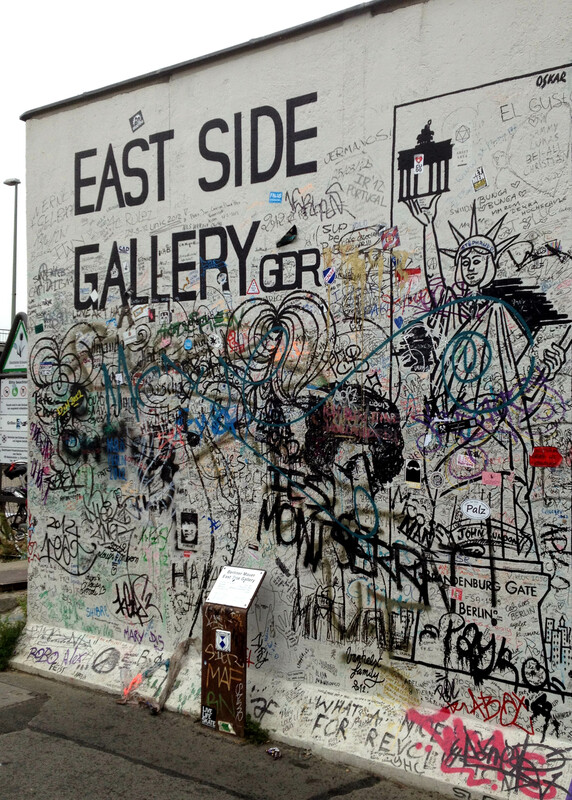 The graffiti and memorials painted on the remainder of the Berlin Wall were incredible. Creative ideologys, artistic impressions and modern art. For dinner we had a Schweine-Schnitzel, breaded pork cutlet with chips and salad. Tom tried the traditional German beer – Berliner Weisse, with the green syrup (see image). I found it surprisingly nice but Tom wasn’t too sure. Friday morning, before our train to Warsaw, Tom and I took a look around the information centre that was hidden just below the Memorial to the Jewish. It was a thought provoking and chilling display of photographs, stories and information about the holocaust. The images were scary and the centre helped you to understand the depth of suffering many Jews and other groups went through during the second world war. It’s crazy to think that the unification of this city and the nation as a whole has taken place during my lifetime! 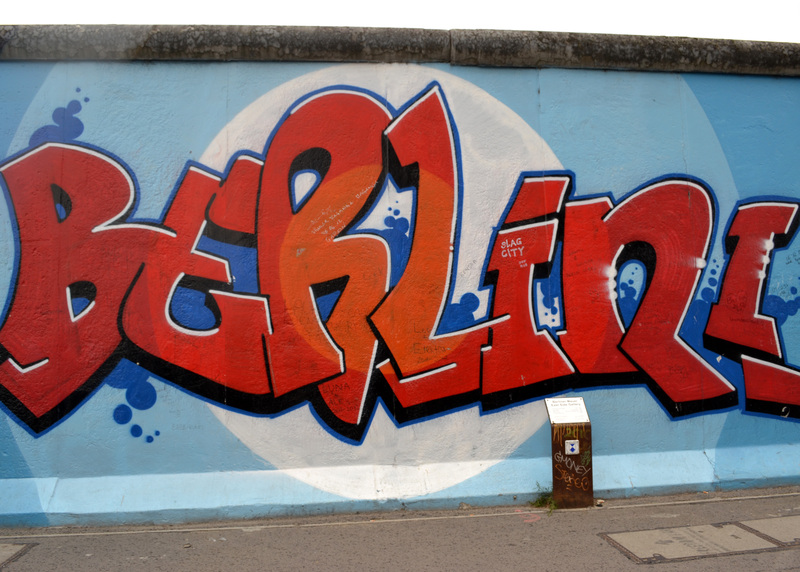 But Berlin has become a cool, urban city which has so much to see and do, yet so much interesting and controversial history behind it.